Want a super easy way to delight your child? Give them a camera to take pictures of whatever they desire. Our three year-old has become quite the photographer, capturing stunning images both in our home and on nature walks through the neighborhood. 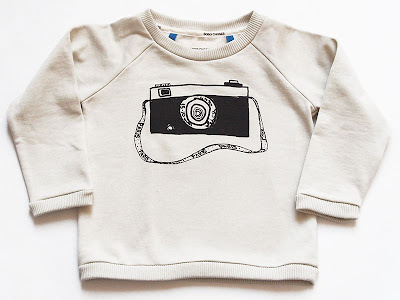 The Photo-genic sweatshirt above would be the perfect top for any budding photographer... and I like that it depicts a good, old-fashioned camera... not a web-cam, iPhone camera, or other modern spins on saying cheese. 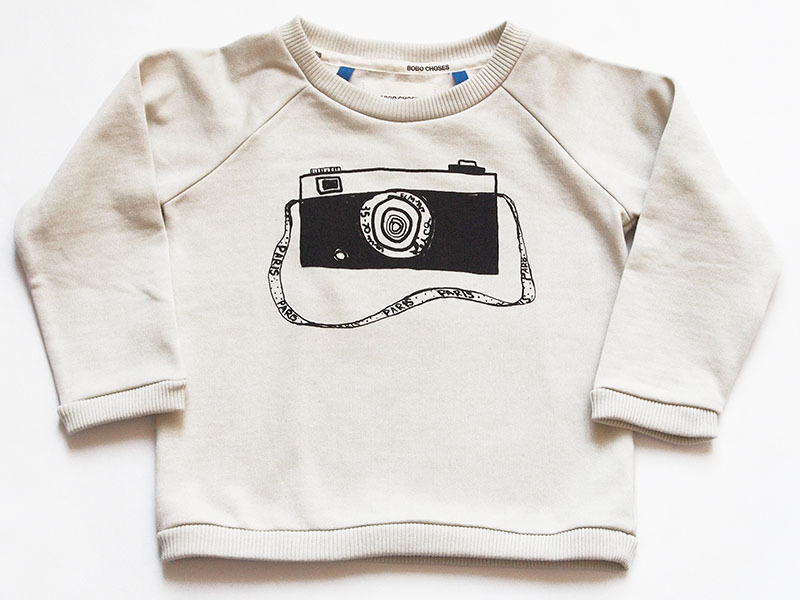 This sweatshirt is 100% cotton (not organic), but it is made under Fair Trade conditions in India, and 10% of the profits of this item goes to a social project to benefit children in various parts of the world. My son would love this! I need to get it for Christmas, it's so charming.